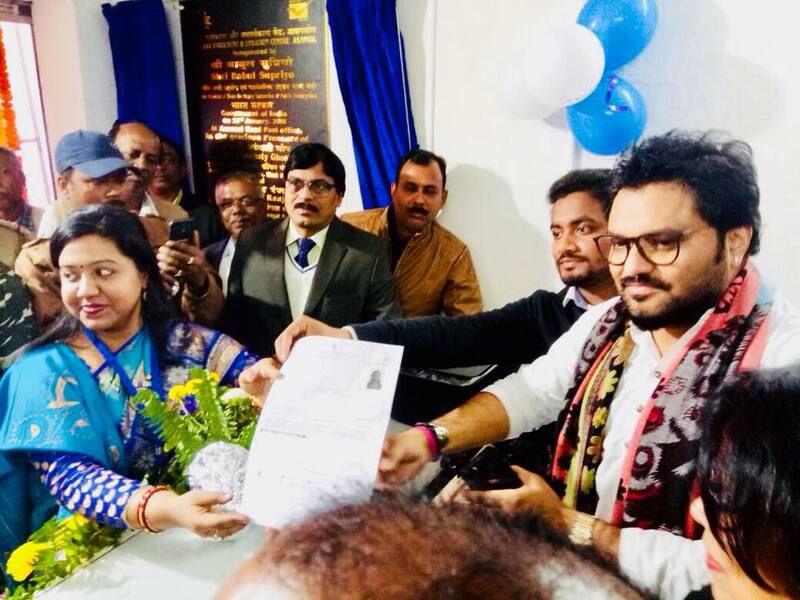 Inauguration of Aadhaar Enrolment and Updation Centre at Asansol Head Post Office on 23rd January, 2018 by Shri Babul Supriyo, Hon'ble Minister of State for Heavy Industries and Public Enterprises. 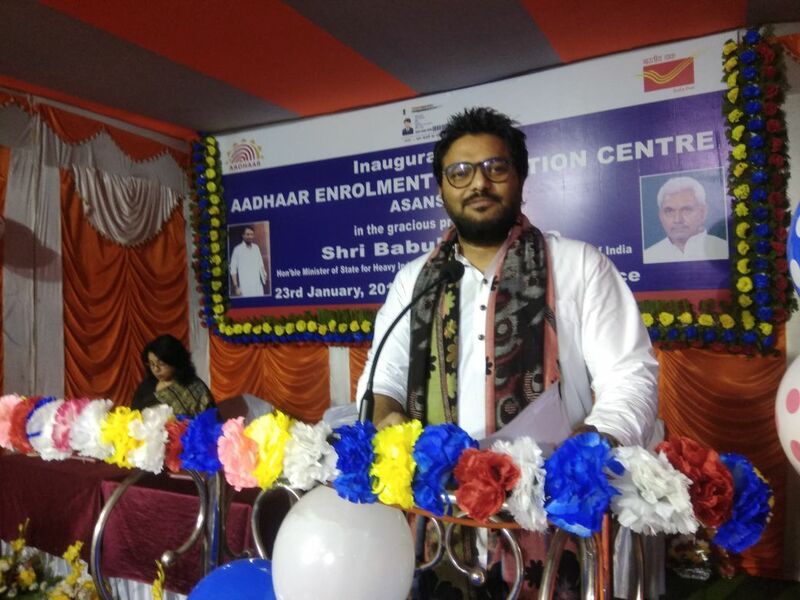 Shri Babul Supriyo, Hon’ble Minister of State for Heavy Industries and Public Enterprises, Government of India inaugurated Aadhaar Enrolment and Updation Centre at Asansol Head Post Office on 23th January 2018. 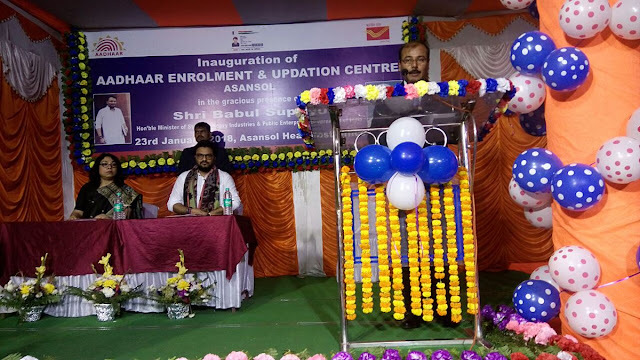 Ms. Arundhaty Ghosh, Chief Postmaster General of West Bengal Circle and Shri Sanjiv Ranjan, Postmaster General, South Bengal Region along with other dignitaries were present during the occasion.